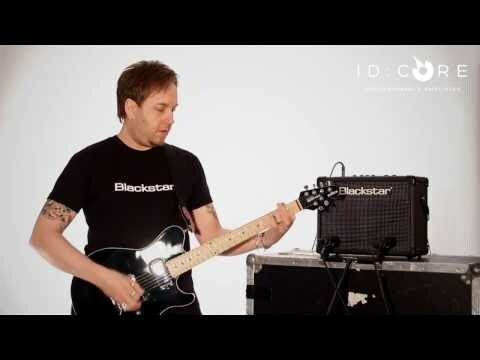 The Blackstar ID:Core Stereo 40 is a 2x20W ultimate entry level guitar amplifier. Incredible tone and flexibility through a simple and intu.. 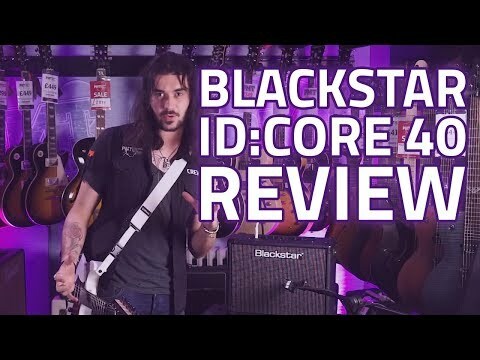 The Blackstar ID:Core Stereo 40 is a 2x20W ultimate entry level guitar amplifier. Incredible tone and flexibility through a simple and intuitive control set. Delivered in SUPER WIDE STEREO to give an immersive playing experience that will have you hooked on playing guitar. ID:CORE represents the culmination of more than seven years’ technical Research and Development. These amps have an intuitive control set like a traditional amp, but have the versatility of programmability. The unique controls allow you, the guitarist, to custom design your own sound. The Voice control has six different settings – Clean Warm, Clean Bright, Crunch, Super Crunch, OD 1, OD 2. When used together with Blackstar’s patented ISF control you can get the exact tone you’re thinking of. The effects section delivers studio quality modulation, delay and reverb effects that you can store with your sound. The unique Voice control has six different channels Clean Warm, Clean Bright, Crunch, Super Crunch, OD 1, OD 2. When used together with Blackstar's patented ISF control you can get the exact tone you're thinking of. Unique Super Wide Stereo technology gives you an immersive sound experience that will have you playing for hours! 12 vintage style studio quality effects. 3x modulation, 3x delay and 3x reverb effects. All voiced for electric guitar and delivered in massive SUPER WIDE STEREO. The ISF control works in conjunction with the Tone control. It allows you to choose the exact tone signature you prefer. Counter clockwise is a more American characteristic with a tight bottom end and more aggressive mids. fully Clockwise is a British characteristic which is more ‘woody’ and less aggressive.